Rami Malek is rumoured to be lined up to play the villain in the next James Bond film. Rami Malek To Play The Next Bond Villain? Rami Malek to play the villain in Bond 25? 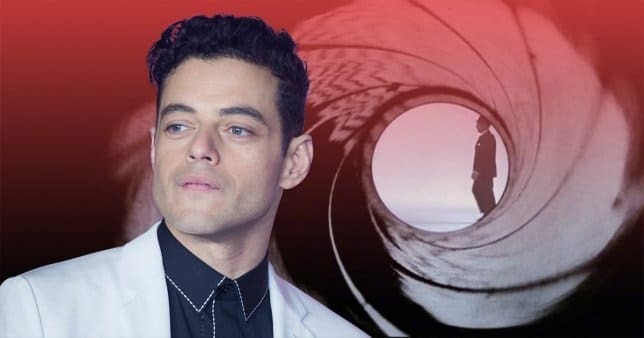 Rami Malek, who just won the Best Actor Oscar for playing Freddie Mercury in Bohemian Rhapsody, is reportedly undergoing final negotiations for a villain role in the film, known as Bond 25 or Shatterhand. According to Variety, the 37-year old actor was considered for the role, but as per Collider reports hint that the scheduling issues with Rami Malek’s show Mr. Robot have been worked out, finalising his role. We don’t know the exact details on his role in Bond 25 a.k.a Shatterhand, however, the character is reportedly blind, belonging to a North African descent. Malek is also the son of Egyptian immigrants, so it perhaps lines up with his character. Bond 25 will be the fifth in the character’s modern incarnation. Actors returning include Daniel Craig, Ben Whishaw, Ralph Fiennes, Naomie Harris, and Lea Seydoux. Shatterhand will be directed by Cary Joji Fukunaga, known for True Detective series and Netlfix’s Maniac. Craig will be returning for his role as James Bond. However, he has expressed his distaste in playing the role further. He also stated that he cannot imagine doing another Bond film after 2015’s Spectre. Bond 25 will be Daniel Craig’s last Bond film. However, Craig has since change his tune. He appeared in The Late Show in 2017 and revealed that he’s ready to return and regretted his remarks.